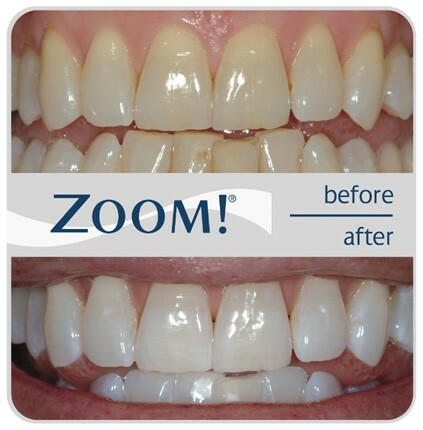 With this method the bleaching takes place in the dental chair and is provided by the dentist or hygienist using Philips Zoom WhiteSpeed. The gel is activated using the latest WhiteSpeed lamp to break down the stains. This latest generation lamp produces no heat. After 4x15 minute sessions you will see visible results and you can then be provided either our DayWhite or NiteWhite take home kits to further continue your whitening if you desire.